If you are looking to improve your smile conservative, custom-fitted veneers can provide the answer. Veneers are thin, custom-made moldings that cover the fronts of unsightly teeth. They are crafted from tooth colored, high-tech materials to portray a natural, bright smile. Should You Consider Porcelain or Ceramic Veneers ? 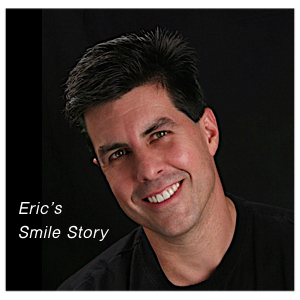 Veneers provide an alternative to traditional crowns. They cover unattractive gaps, and can mask stained, mis-shapen, or crooked teeth. If these conditions apply to your mouth, veneers may be your best option. How Long Will Veneers Last ? Veneers are intended to last for many years. Unlike most bonding materials, porcelain and ceramic veneers will not change color over time. You should consult with your dentist to find out exactly how long veneers will last in your mouth. How Are Veneers Applied ? The tooth is reshaped initially to allow for the added thickness of the veneer. A molded image is taken from the tooth and sent to a dental laboratory where the veneer is custom-fitted to your mouth. The veneer is applied with adhesive material which bonds it to the original tooth structure. Custom made veneers resist stains from coffee, tea, and cigarette smoke because they are made of high tech, extremely polishable materials. Here are some tips for making sure your veneers stay sparkling. Brush and Floss Regularly to Prevent Oral Hygiene Problems. Veneers generally can not be damaged by abrasion from your toothbrush or floss. Good oral hygiene will ensure your veneers stay strong and provide you with a long-lasting, attractive smile. Porcelain and ceramic veneers provide more strength when crushing an object than twisting or tearing. Therefore, just as with natural teeth, patients with veneers are advised to avoid opening nut shells, chewing on bones, or any other matter that may cause the veneers to chip or crack. The American Academy of Cosmetic Dentistry is the largest international dental organization dedicated solely to the art and science of cosmetic dentistry. Founded in 1984, the AACD has over 6000 members in the United States and more than 50 countries around the globe. Members of the Academy include cosmetic and reconstructive dentists, dental laboratory technicians, educators, researchers, students, hygienists, corporations and dental assistants. All AACD members receive continuing education through lectures, workshops, and publications in order to keep up-to-date with all of the advancements in cosmetic dental techniques and technology. The AACD is dedicated to excellence in cosmetic dentistry. To find out more about cosmetic dentistry, call the AACD toll-free at 800.543.9220, or visit us online at www.aacd.com.